I am excited to talk about a new site I came in contact with called Dress Link . They have A-lot of beautiful affordable clothing, accessories , and more . When I say affordable, I mean DressLink extremely CHEAP in price which is great for any SHOPPER. Here are just a couple of my wishlist Items. Everything posted here has a direct link to the item and let me tell you everything is less than 10$ which truly is a BARGAIN for STYLE.Soon I will be posting up a post of some of the items I am getting myself. This knit crop top easily passes for a Brandy Melville Style but at a fraction of the price as these can run from 20-40 $ in Brandy but here only 6.62$. 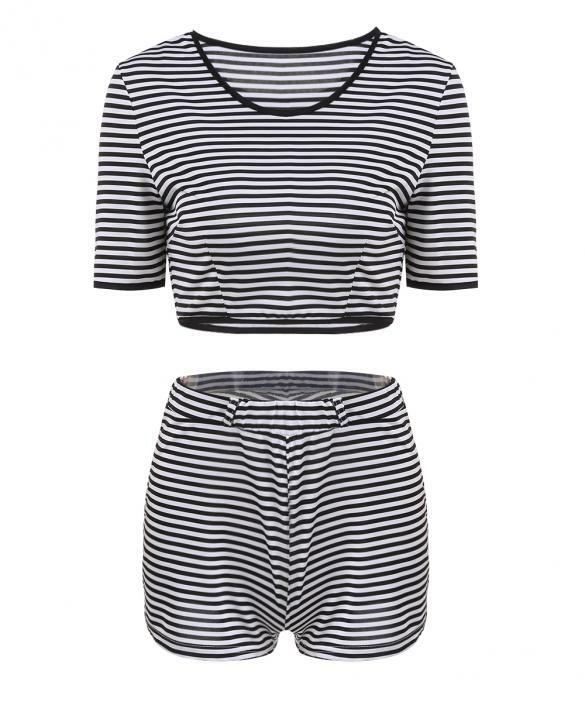 Do you absolutely adore Kardashian inspired wear? Well NastyGal , Missguided , and other sites sell co ords like this for well over 30-80$. This piece however is only 7.84$ and is a head turner! 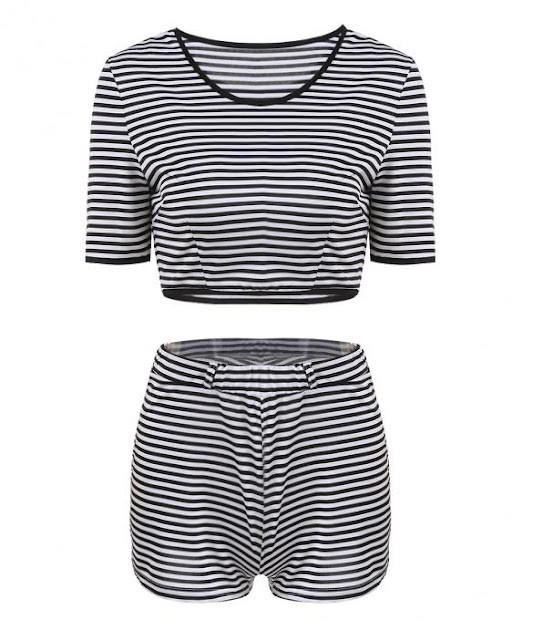 Stripes are a timeless pattern , and this two piece accentuates perfectly. This dress is a replica of the Nasty Gal Fringe dress that is on sale now for 44$ , but on Dress link you only pay 6.69 $. Nice wish list ! I want to order things now; especially that bralette!